Guest Post by William Jones. 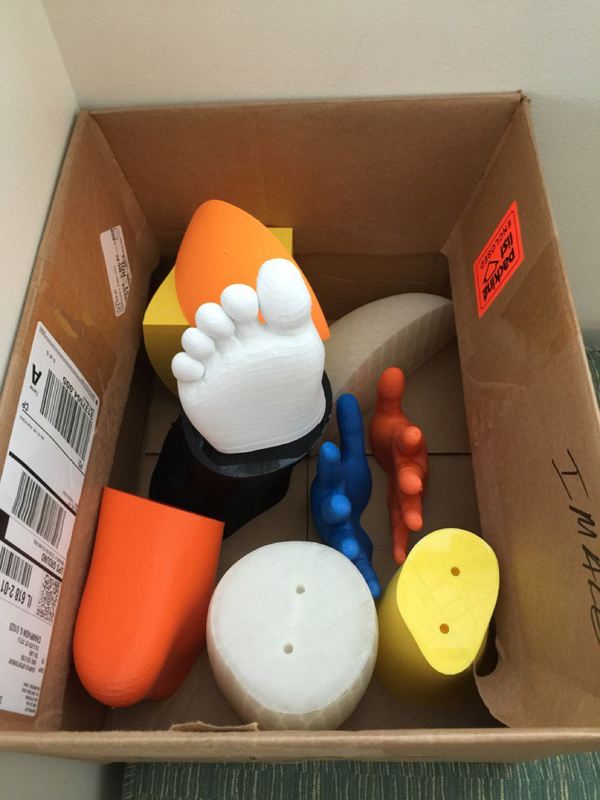 Come watch as our team of volunteers attempt to 3D print a life sized man, “Max”! Max is the result of a full body scan created by Voodoo Manufacturing. Voodoo originally scanned and printed this 88-piece 3D model in under 24 hours, printing a piece at a time on their 88 3D printers. The University of Illinois MakerLab will be the first (other than Voodoo) to attempt to create this colossal 3D model. 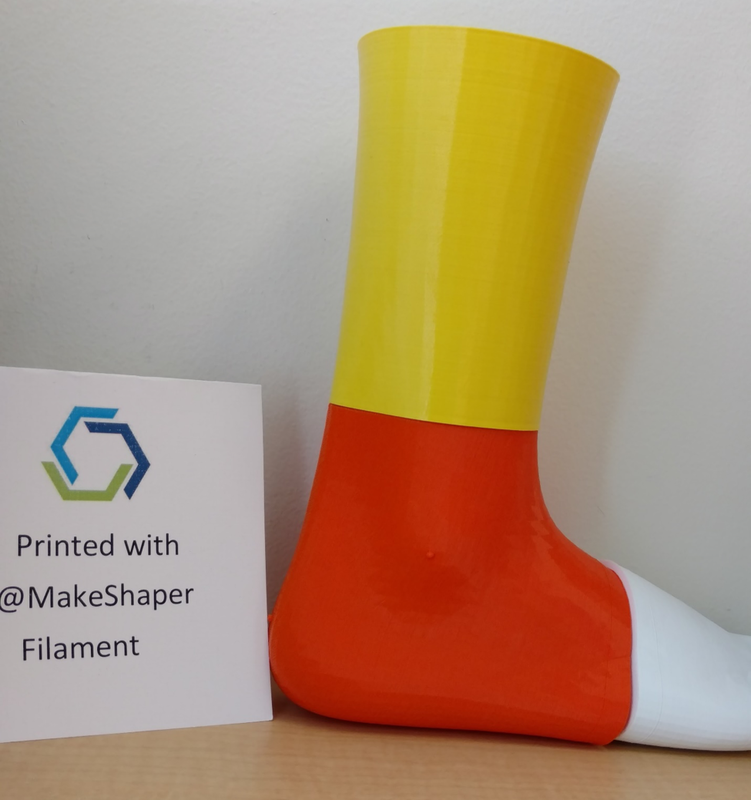 @MakeShaper is sponsoring the filament, to make this ambitious project possible. All of the Maker Lab's volunteers will be helping with #PrintAPerson over the course of the Fall 2016 semester (Want to volunteer?). We will be printing Max part-by-part on our 17 Ultimaker 2+'s until he is completely assembled (but don't worry! There will be plenty of printers open for you to use if you come to the Lab). Join us in this special project, and watch as we build Max! Check back on the University of Illinois Maker Lab website and on our Twitter, Instagram, and Facebook accounts to see progress on Max, as well as to see what else is happening in the Lab. We also encourage you to stop by the Maker Lab (in room 3030 of the University of Illinois Business Instructional Facility at 515 East Gregory Drive in Champaign, IL) and see our facility in person. Check out all the cool things we're making and even make something of your own! Follow us on Twitter: https://twitter.com/uimakerlab , Instagram: https://www.instagram.com/uimakerlab/ or Facebook: https://www.facebook.com/IllinoisMakerLab as we 3d print Max! Will possesses skills in CAD and 3D design software such as Blender, Inventor, Autodesk 3DS Max, and SolidWorks. He is very familiar with 3D printers and the many different types of additive/subtractive CNC machines, along with Windos and OSx operating systems.